Hey there, this is Chris Williams, owner of iBuyHousesFresno.com. If you’re looking to Sell Your House Fast and you’re in the Fresno, Clovis, or Madera areas, guess what? You are definitely in the right place! ​We specialize in purchasing houses for cash, and you get to close escrow on YOUR time fame. The beautiful thing about it is you don’t have to pay any exorbitant real estate commissions, you don’t have to have people coming through your house and trampling through your house. You don’t have to fix up anything or make any repairs. We make selling your home an easy and quick process. Typically in the traditional means of selling if list a property with agent, people come through your house and they submit an offer if they like what they see. The buyers will have to go through an inspection period where they send out a home inspector and pest inspector to pretty much nitpick your entire house from top to bottom. Then they give you a list of everything you’ve got to fix, and guess what? It could be thousands and thousands of dollars! Well guess what? We don’t do that. We come out and meet you at the house and we give you a cash offer right on the spot! And that number, whatever number is agreed upon, is the CASH you get at closing once we buy your house. When you Sell Your House Fast to us, you don’t have to pay real estate commissions, closing costs or fees, or any of that type of stuff or fix up anything. ​Also, whatever situation you might be in, we can work with you and help guide you through the process. Maybe you have inherited a property and you need to sell an inherited house to liquidate the estate. We can do that for you. We can work with you, whether you’re in a probate situation or inherited property, whatever the case may be we will buy your house today. Maybe you’re a landlord and you have a property that you’re ready to liquidate? Well guess what? We can work with your tenant without you needing to kick them out. If the property is vacant, we can work with you on that situation as well. Even if the property needs a ton of repairs, let’s say it’s one of those ugly properties. Well guess what? We can work with you on that too. It doesn’t matter the condition, we are able to go in and solve that problem so you can Sell Your House Quickly. Now, maybe you have a property where you have little to no equity in the property and if you’re going to list it, you have to come out of pocket, we can handle that situation too, and we can move quickly and get the closing done quickly and even get cash in your pocket. ​So, all you have do to contact us is. Give us a call right now at (559) 408-5977 to sell your house fast for cash. We pick up the phone 24/7, doesn’t matter what time it is, and we’ll gather some information, set an appointment, go out to the house, and we will give you a cash offer right on the spot, so you can at least make a decision on your time-frame. There’s absolutely no pressure! You don’t have to sign anything right there. You can discuss it with your attorney, your spouse, or your family, whatever makes you comfortable. We’ll give you the offer and you can at least have something in your hand. To help inform you a little more about selling your home quickly, we actually have a free report that talks about the Pros and Cons of Selling Your House To An Investor – And What 4 Hidden Costs Creep Up When Listing With An Agent Or Selling It Yourself. Just CLICK HERE to get your FREE report! We know there are different investors out there, and investors will come in with these low-ball prices, right? And there’s investors like us who can pay premium price for properties because we typically buy and hold them or we fix them and sell them and carry back the paper, whatever the case may be. We have the ability to offer more than pretty much anybody else in the marketplace when we buy your house. ​So CLICK HERE, I’ll send you that free report, and we can get started. We’d love to come out and meet you, and I can tell you, we’re sincerely here to help you solve the problem, to figure out a solution where you don’t have to pay real estate commissions, you don’t have to fix anything on the property, and we can close, more importantly, on your time frame. You can call me directly at (559) 408-5977 or just put your contact info in the form below and we’ll give you a call to see how we can help you. ​So, thanks for spending a couple minutes with me. Give us a call below. Click the link, and I look forward to meeting you. Take care and God bless. 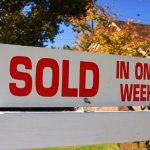 Find out how to Sell Your House Fast in Fresno, CA! We Buy Houses Cash. Easy Process. No Hassle. Quick Closing. Pay No Real Estate Commission or Repairs!